For more than 30 years Simmons Glass has been an innovative leader in the glazing industry. Simmons Glass has become the trusted shower products company it is today through continual commitment to customer care, craftsmanship and industry leadership. 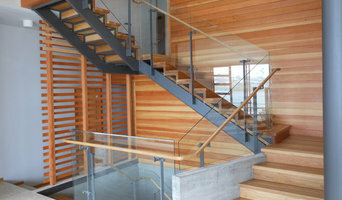 Simmons Glass offers you high-quality residential and commercial glass services that will fit your needs and budget. From storefronts to frameless shower doors, we promise that you'll be completely satisfied with our services and products. 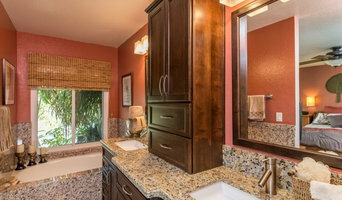 We are the go-to Budget Bath and Kitchen remodeling company for San Diego. 30 Years of satisfied customers agree. Here, your future bath or kitchen and your budget are our priorities. That’s why we offer a number of payment options, including financing. Our remodeling business is about bringing a smile to your face and property value to your home. Our step-by-step approach keeps you informed and nodding yes every step of the way. We are completely dependable. No exceptions. With the assistance of our expert designers and staff, the bath or kitchen you’ve always wanted is now within reach. Our massive onsite storage facility and expansive vendor network gives you access to a variety of viable options and the latest industry knowledge. So no matter if you’re a first time homeowner, someone with a shorter timeline or simply a budget-conscious guru, we have a solution for you. 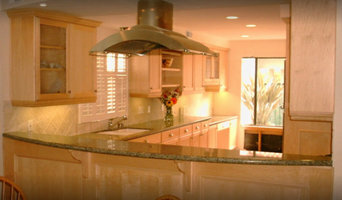 Maurer construction Inc. is a quality residential and commercial construction and remodeling company In San Diego. We focus on details, kitchen remodeling and bathroom remodeling seam to be the best fit for us do to the amount of details that most people forget about. We perform whole home remodeling as well as custom decks and patio covers, home theater systems, new room additions and second story additions to new construction. For over twenty years, Owners Mark Hamilton and Niloofar Faramandi have built a solid reputation as Southern California's most trusted business. They are committed to providing quality service to the community and believe that a reputation as an honest and reliable business is the recipe for success. While others seek to profit by cutting corners, or recommending unnecessary services to customers, they believe that a good reputation and consistent service will reap bigger profits in the long run. By being trustworthy, they believe that they will enjoy a long term profitable business that serves the community. Visit our showroom next to Rubio's and Gandolfo's in Mission Viejo! Platinum Construction DBR is a family affair. We have been creating beautiful spaces for clients throughout So. California for 26 years and counting. My wife Kristy and I are the principals and our four sons, Alec, Devin, Shane and Tristin work hands on on every project. Together we strive to exceed your expectations and bring your dreams to life. At Davic Construction, we provide our customers high quality services personalized for their unique needs. From the smallest repairs to custom homes. Since our founding in 2002, we've been known for our exceptional craftsmanship, our relentless attention to detail, and our unstinting willingness to help our clients achieve their dream room addition, bathroom or kitchen. We employ the highest quality materials available for every project, ensuring a beautiful, durable result. Whether you're looking for a new master suite bedroom, kids rooms, stellar chef's kitchen or a spa-like master bath, with Davic Construction, your next project, addition, or remodel will be a work of art. The founders of California Crafted Marble, Inc. had an idea – “What if we take years of combined experience in manufacturing and fabricating of materials, and build a company that services both the Residential and Commercial sectors of the construction industry? What if we paid more personal attention to each customer, to each project, and most importantly, to what our customers value? And what if we recruit a great team to bring this vision to life, to turn ordinary into the exception?” These ideas were the inspiration behind California Crafted Marble, Inc. founded in 2010. 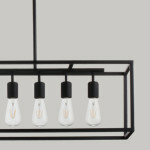 Creative design solutions to fit your style and your budget. Custom kitchen, bathroom, furniture, niches, offices and more. I can help you get organized in your closet to re-design your entire home. Due to a lot of spam my phone number is fake. Please select [Contact Me] - this will bring you to a window that allows you to email me. Thank you. Precise Flooring and Showers, Inc. Complete flooring, kitchen and bath remodeling, custom shower installation, carpet, tile and all types of flooring installation. Custom and pre-fab granite installation. Now! 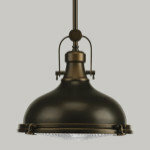 Kitchen & Bath, INC.
At NOW! Kitchen and Bath we specialize in giving you the kitchen and bath of your dreams, and we don't stop there, we can design any room of the house! With years of design experience, we know how to make a beautiful room on almost any budget. We even can have your project done in as little as 2 weeks! so you can stop dreaming and have your dream kitchen and bathroom Now! Store hours are Tuesday through Friday 10-6 and Saturday 10-2, and by appointment. Newport Design & Construction is a trusted general contractor firm with expertise in kitchen and bath remodeling, flooring, drywall and painting, custom home building and more. We put ourselves in your place when it comes to excellent customer service, which shows in our FIVE star reviews. We promise supervision of any project. 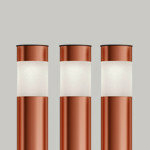 We help design, order, manufacture, install, supervise, and communicate. We work extensively with professional contractors, vendors, manufacturers. Anyone will tell you, in the home improvement industry, it’s the people doing the work that are ultimately responsible for the success of any business. No one knows that better than those of us who have actually done the work ourselves. Many stores will carry many of the same products or have suitable alternatives, but it’s ultimately the face-to-face experience that determines whether you return or refer others. That’s why we here at Wine Country Flooring think who we have in the store is just as important as what we have. The same is true for your home: who we send to your home is just as important as the quality of the product they are installing. That’s our commitment to you, because at Wine Country Flooring, experience matters. 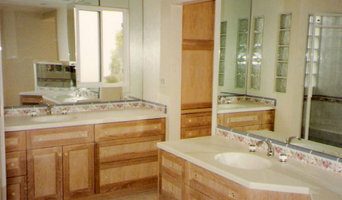 We are kitchen and bathroom remodeling specialists. We have been in business since 2009, with a combined experience of over 60 years in the construction industry. For over 25 years we have worked for other company's and contractors bringing their visions to life. 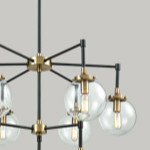 Now we get to bring our customers dreams and visions to reality with attention to detail and quality craftsmanship. Our unique project management focuses on everything from basic designing and planning, to the little details that matter at the end of your project. At Viejo Tile & Stone we understand that choosing a contractor isn't easy. Quality, integrity, hard work and a "good price" is expected and we deliver. Our craftsmanship and years of experience are why our customers keep coming back and making us an automatic referral to their friends and family. We don't cut corners and we stand by our work making sure every detail of the project is perfect. The only corners that we cut are from tile. Your decision to use Viejo Tile & Stone will be rewarded with the highest caliber of work and complete satisfaction. Our reputation is important to us!